Refugee Justice League • The move comes after reports of increased harassment and bullying following Trump's victory. 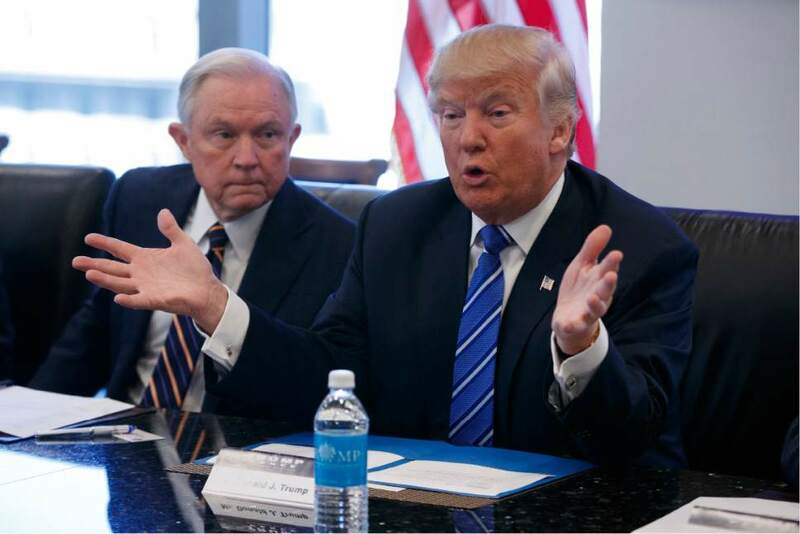 FILE - In this Oct. 7, 2016 file photo, Sen. Jeff Sessions, R-Ala. listens at left as then-Republican presidential candidate Donald Trump speaks during a national security meeting with advisers at Trump Tower in New York. As one of President-elect Donald Trump's closest and most consistent allies, Sessions is a likely pick for a top post in his administration. But the last time Sessions faced Senate confirmation it didn't go well. 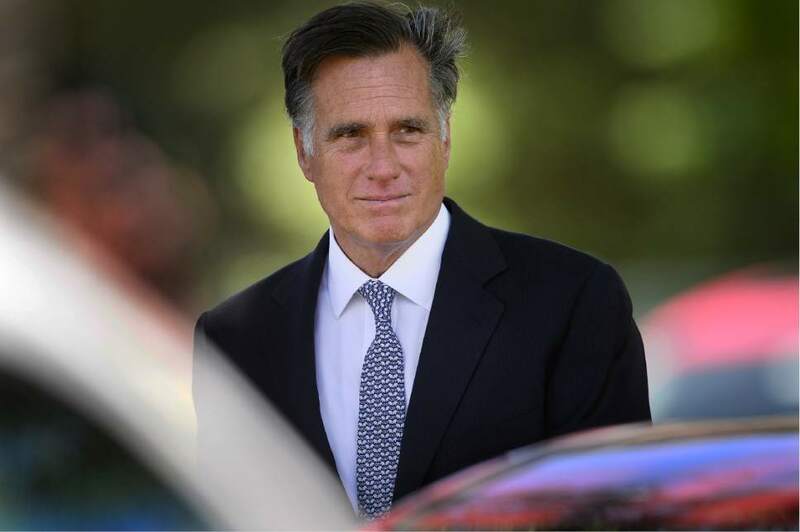 (AP Photo/ Evan Vucci, File) Scott Sommerdorf | The Salt Lake Tribune Mitt Romney leaves the funeral services for former U.S. Senator Bob Bennett. Interment was at the Salt Lake City Cemetery, Saturday, May 14, 2016. 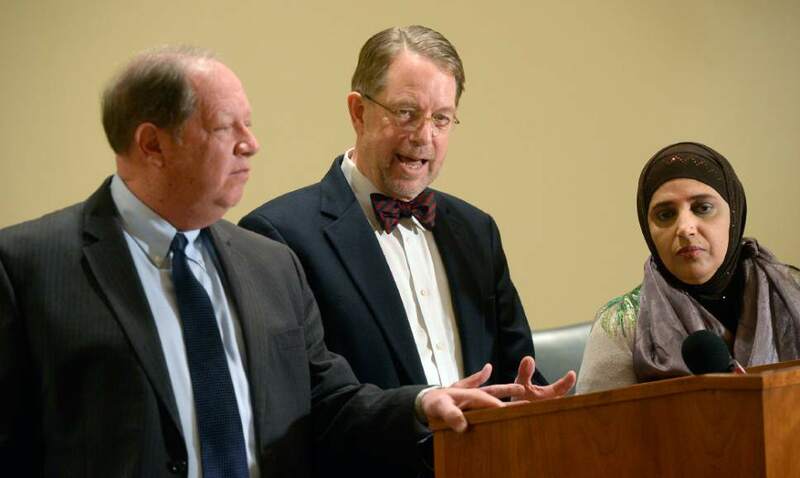 Al Hartmann | The Salt Lake Tribune Attorneys Brad Parker, left, and James McConkie join Noor Ul-Hasan, a Muslim community leader, to announce that a diverse, nonpartisan group of attorneys and other professionals from around the state have formed the Refugee Justice League of Utah. The new organization is dedicated to promoting and defending the civil, religious, and constitutional rights of persons who are discriminated against on the basis of their religious beliefs and national origins. 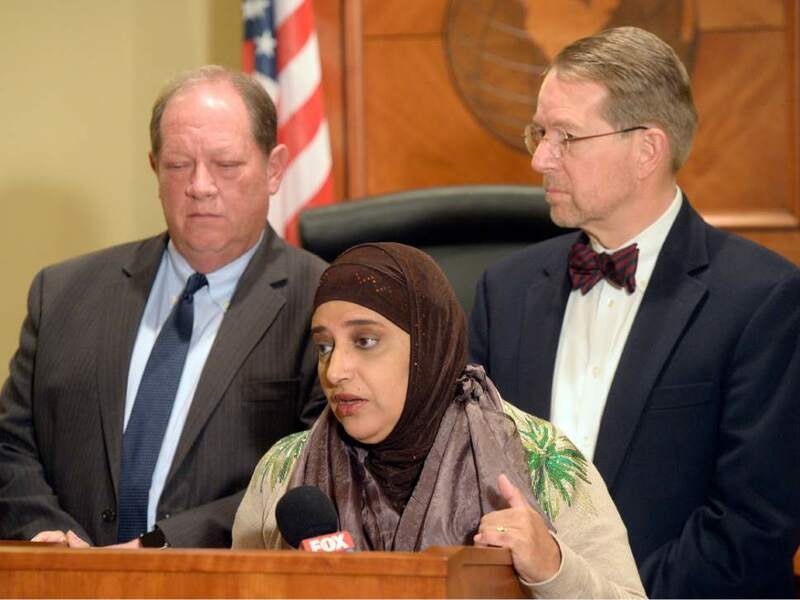 Al Hartmann | The Salt Lake Tribune Attorneys Brad Parker, left, and James McConkie join Noor Ul-Hasan, a Muslim community leader, to announce that a diverse, nonpartisan group of attorneys and other professionals from around the state have formed the Refugee Justice League of Utah. The new organization is dedicated to promoting and defending the civil, religious, and constitutional rights of persons who are discriminated against on the basis of their religious beliefs and national origins. Al Hartmann | The Salt Lake Tribune Attorneys Brad Parker, left, and James McConkie join Noor Ul-Hasan, a Muslim community leader to announce that a diverse, nonpartisan group of attorneys and other professionals from around the state have formed the Refugee Justice League of Utah. The new organization is dedicated to promoting and defending the civil, religious, and constitutional rights of persons who are discriminated against on the basis of their religious beliefs and national origins. They will oppose any restrictions on the rights of refugees such as mandatory registration. Al Hartmann | The Salt Lake Tribune Attorneys Brad Parker, left back, and James McConkie join Noor Ul-Hasan, a Muslim community leader, to announce that a diverse, nonpartisan group of attorneys and other professionals from around the state have formed the Refugee Justice League of Utah. The new organization is dedicated to promoting and defending the civil, religious, and constitutional rights of persons who are discriminated against on the basis of their religious beliefs and national origins. Since Donald Trump was elected president, Muslim refugees in Utah report increased bullying in schools, harassment at work, menacing by strangers and threats to pull off girls&apos; hijabs, their religious headscarves. So on Tuesday, 50 attorneys announced that they have formed the new Refugee Justice League of Utah. Without fees, it will seek to prevent or remedy harassment and, as a last resort, sue in court  even the president-elect if he pursues proposals to create a registry of Muslims. 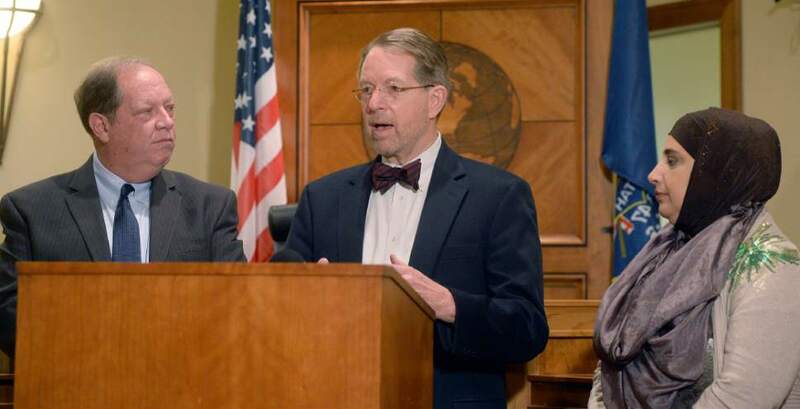 Utah refugees "need to know that they have friends who are willing to help them," said Jim McConkie, a civil-rights attorney and founding member of the league. His law partner and fellow league founder, Brad Parker, added, "Those who choose to harass and accost instead of choosing to help and assist should stop. Harassment and discrimination are not only contrary to our moral values, they are illegal." 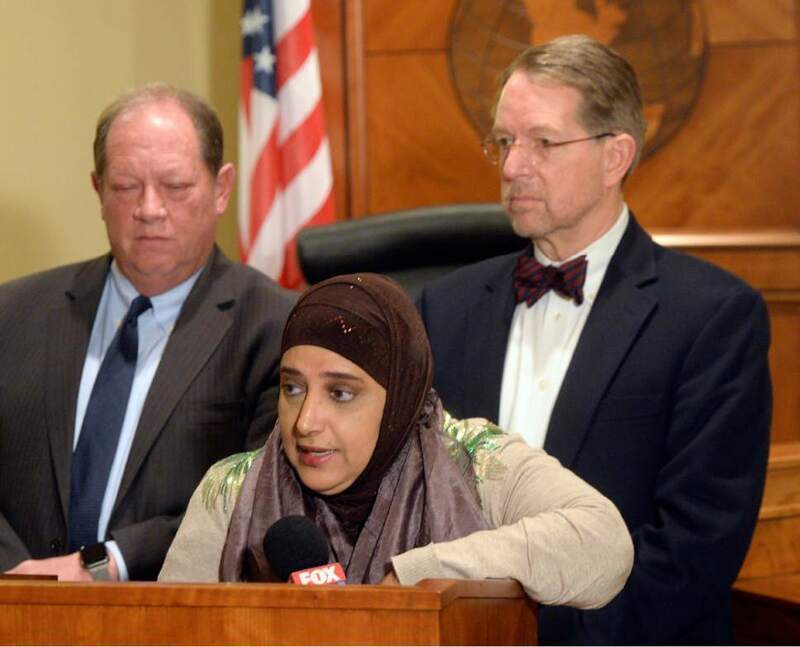 Noor Ul-Hasan, a Muslim community leader, said she feels more secure knowing a small army of lawyers now wants to help protect refugees  and that Utah Gov. Gary Herbert has opposed creation of a Muslim registry and reiterated that Utah should welcome refugees. She noted that the day after Trump won Utah, she was quoted as saying, "I feel that the Mormons in this state did not have my back." But Ul-Hasan now has changed her mind. "McConkie, Parker, these attorneys and the governor do have my back, and I appreciate them coming forward now and telling us that they will support us," she said. "It tells you how the people of Utah have stepped up to help us, and it is deeply appreciated." Ul-Hasan said 90 percent of refugees in Utah are Muslim and have a population of about 40,000. A delegate to the Democratic National Convention, she said that harassment "has definitely escalated after the election" of Trump amid his anti-Muslim rhetoric. McConkie said such reports are what prompted concerned attorneys to form the new group to offer help. "The political atmosphere in this country has been divisive," he said, "and it has created an atmosphere where people who come here to find refuge find themselves living in the shadows again" because of fear. McConkie added that he&apos;s amazed at the number of lawyers who called and wanted to join, and more call daily. He said it is a diverse group from all political parties and many religions  and is not a political group seeking just to oppose Trump. "However, there is one thing that all of the members agree on," he said, "and that is that refugees in our community deserve our help, respect and friendship." Ul-Hasan and McConkie said many refugees have been afraid to report problems officially, worrying that it will backfire and possibly lead to their own deportation. "They come from oppressive societies where if they make a fuss, they are punished," McConkie said. "When they get up in the morning, they have fears that aren&apos;t real about the police, about lawyers, about bribery. … They live in the state of anxiousness and fear." Ul-Hasan said she has lived in Utah for 26 years, "and I wake up with stress and anxiety almost every day since the election" and it is worse for newcomers who are less familiar with U.S. rights. So teaching refuges about their rights will be a key mission for the new league. It also plans to work with mosques to allow reporting of problems through them to the league. Parker believes Utahns are more supportive of refugees than many states, in part because Utah was founded by pioneers who fled persecution to seek religious freedom. Because of that, Parker said, the league plans generally to use a soft initial approach to solve problems  such as writing letters or making phone calls. But, as a last resort, it will take the fight to court. That includes going after the president-elect if needed. McConkie said if Trump attempted a Muslim registry, "This is something that&apos;s intolerable, and it is something we would oppose vigorously." Ul-Hasan added, "Maybe it will be the Utah lawyers [who] start that process" of suing to stop it. Alex Evans, another founding member of the league, said it plans to reach out to attorneys in other states to encourage them to form similar alliances "to strengthen the solidarity between those individuals who wish to defend the values that form the basis of our union."